Belgium beat England 2-0 in the World Cup third-place playoff on Saturday to secure their best ever finish at a World Cup and send Gareth Southgate's side home with a second straight loss. A fourth-minute goal from Thomas Meunier and an 82nd-minute Eden Hazard strike earned Belgium the victory and third place, which improved on their previous best performance of fourth in 1986. "It’s all about that achievement. I think these players deserve that," Belgium coach Roberto Martinez said. "What we have seen in this World Cup is that the players did not want to rely on talent anymore, they wanted to rely on working as a team, becoming a group of players that would do anything to achieve results". "This game showed there is still room for improvement," said Kane. "We're not the finished article, we're still improving and will only get better. We don't want to wait another 20 years to get into the semi-finals and the big matches. We need to improve, we need to get better but that will come," he said. Two tired and disappointed teams playing in heat with the crowd dominated by neutral Russian fans was never going to be a recipe for a thriller but Belgium made a flying start. They scored when Romelu Lukaku swung the ball out left to Nacer Chadli who burst down the wing and slipped the ball across the face of the goal and Meunier confidently slotted past Jordan Pickford. Meunier was Belgium's 10th different goalscorer at this World Cup - equalling the record set by France in 1982 and Italy in 2006. While England manager Gareth Southgate made five changes to the side who lost to Croatia, Martinez made just two switches. Meunier returned from suspension and Youri Tielemans got a start ahead of Marouane Fellaini in midfield with the Belgians fielding their strong front three of Lukaku, Kevin de Bruyne and Eden Hazard. De Bruyne should have made it 2-0 when the ball found him at the back post after a slip-up from John Stones, but his poorly struck shot was easily dealt with by Pickford. Kane, the tournament's top scorer with six goals, had an opportunity when set up by Raheem Sterling but was off-balance as he screwed his shot wide. Southgate brought on Marcus Rashford for Sterling and Jesse Lingard for Danny Rose at the break and the changes worked well, with England well on top in the second half. Toby Alderweireld was forced to clear an Eric Dier effort off his line at full stretch after a neat exchange between the midfielder and Rashford ended with a chip over Belgian keeper Thibaut Courtois. Dier and Harry Maguire both headed wide from promising positions while at thee other end Meunier went close to a second with a powerful volley that Pickford did well to save. Fourth equals England's best performance since their World Cup win in 1966. They also finished fourth in 1990 and Southgate was pleased with the way his team handled the game. "I'm proud of what the players have done, today was always going to be a really difficult game. We played one of the best teams in the world with individual talent which is incredible and we had only two days to get ready," he said. 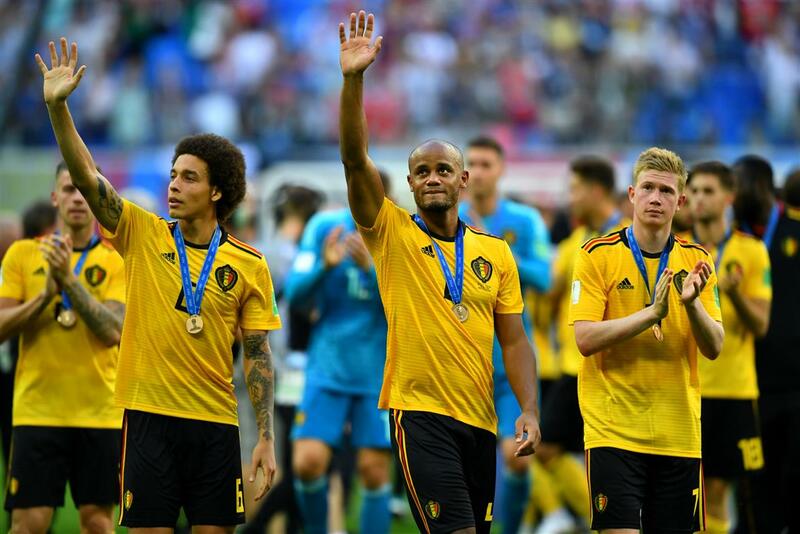 Belgium were handed bronze medals but skipper Vincent Kompany wondered if his team should have had a better ending to the tournament. "We were very close to the final, which I think we would have won. But this is also beautiful. A present for our fans. We played seven matches and won six," he said.